SKU: N/A. Categories: Adult / Shirt. Tags: beaverton / farm / grey / michigan / orange / shirt / white. 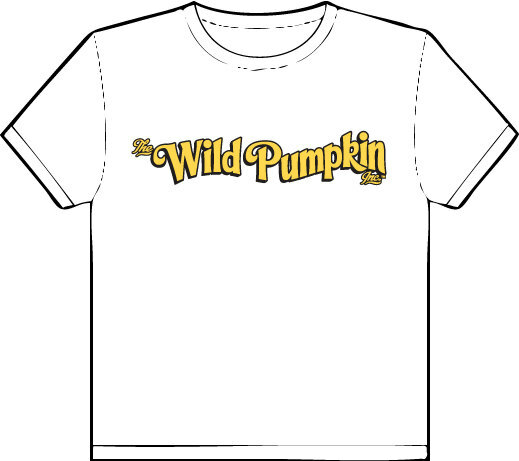 Two color, yellow and black silk-screen with The Wild Pumpkin logo across the chest on a white t-shirt. T-shirt is unisex with adult sizing.